4. 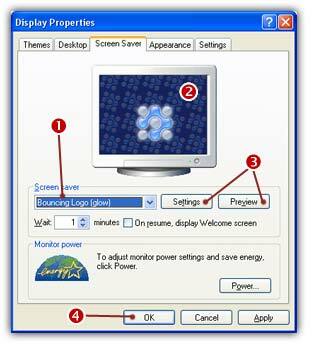 You can adjust the screensaver settings or display it full screen ( ). How to un-install a screensaver? If an un-install procedure is provided with the screensaver, just un-install it launching the procedure. When a screensaver is distributed as a simple SCR file, you have to locate the SCR file and delete it. You can also choose another screensaver (or simply specify "None") in the above list ( ).